Brazilian police say they have discovered a charred vehicle containing a body they think may be the Greek ambassador who went missing three days ago. The Globo television channel showed images Thursday of a burned-out white car in the Nova Iguacu neighborhood of Rio de Janeiro, a poor and violent neighborhood where Greek Ambassador Kyriakos Amiridis was reported to have been visiting friends. Globo reported that the license plate on the car matched that of Amiridis’ vehicle. Police said in a statement Thursday that Kyriakos Amiridis was last seen Monday night in Nova Iguacu. 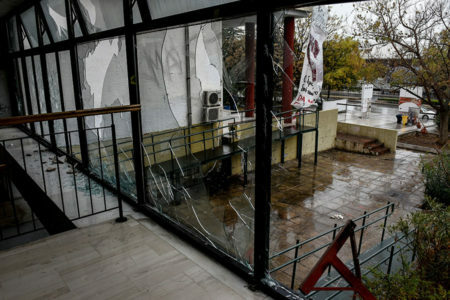 Greek embassy officials would not confirm that Amiridis was missing and said only that he was vacationing in the area and was expected to return to work January 9. Rio state police say they have opened a missing person case. According to Brazilian media, the ambassador’s wife reported him missing after he left their holiday apartment in Nova Iguacu and failed to return or to get in touch. Amiridis had just assumed the post in Rio this year. He previously served as Greece’s ambassador to Libya from 2012 to 2016.